Did snubbing the Astor Trophy cost Lisa Maguire a Vagliano Trophy place? Ireland will have three players on the Great Britain and Ireland team for next month’s Vagliano Trophy at Royal Portcawl - one third of the team. But the absence of Lisa Maguire from a line-up that features her twin sister Leona, Danielle McVeigh and US-based Stephanie Meadow has shocked both her family and the Irish Ladies Golf Union. One wonders if the decision by the ILGU not to make the Ireland’s elite players available for selection for next month’s Astor Trophy has played a role. The ILGU has asked for a written explanation from the LGU over the non-selection of Lisa Maguire, who won this year’s Spanish Ladies Amateur Open, for the match against the Continent of Europe. One thing is certain, the World Amateur Golf Ranking is not the ultimate yardstick for the LGU when it comes to picking teams. The three reserves named for the Vagliano Trophy set for Royal Portcawl from June 24-25 are ranked above players chosen for the nine-strong GB & I team. Lisa Maguire is ranked 31st in the world. But spare a thought too for Woburn’s Charley Hull, who at 17th is the third highest ranked player from GB & I and Europe’s No 6. There will be no Irish players at Fairhaven for next month’s Astor Trophy.ILGU Chief Executive Sinead Heraty has defended the decision to make Ireland’s top amateurs unavailable for selection for Great Britain and Ireland’s Astor Trophy defence next month. 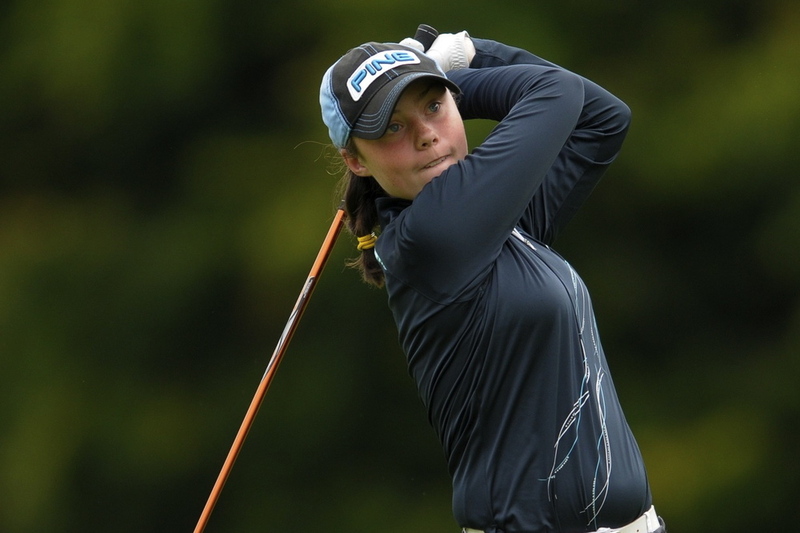 At the insistence of the Irish Ladies Golf Union, Danielle McVeigh, Lisa and Leona Maguire and Stephanie Meadow were not considered for selection for the five-strong side which will battle Australia, Canada, New Zealand and South Africa at Fairhaven in Lancashire from June 15-19. Less than a year after her bizarre omission from the Vagliano Trophy side, the LGU selectors have left Lisa Maguire out of the Curtis Cup side to face the USA at Nairn from June 8-10. Twin sister Leona and Royal Portrush star Stephanie Meadow made the side but the decisions by the “independent selection panel” to drop Lisa from the eight-strong team and then do an about turn on its threats to leave out Charley Hull are startling to say the least.